If anyone knows how to travel in style with kids in tow, it’s clothes and interiors-obsessive Deborah Brett (instagram.com/deborahbrett). Fashion editor at large of Wardrobe Icons and contributing editor at Red magazine, Deborah lives in London’s Holland Park with her partner, the director Tom Edmunds, and their three children Phineas, ten, Hermione, 8, and Ottilie, 5. 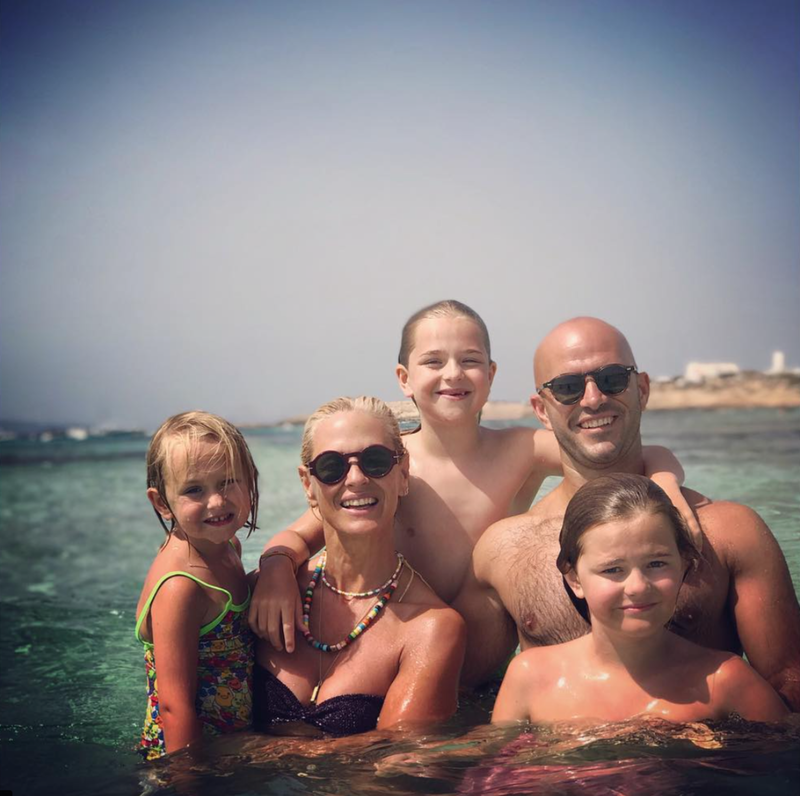 The family enjoy quality time together at their residence in Ibiza. 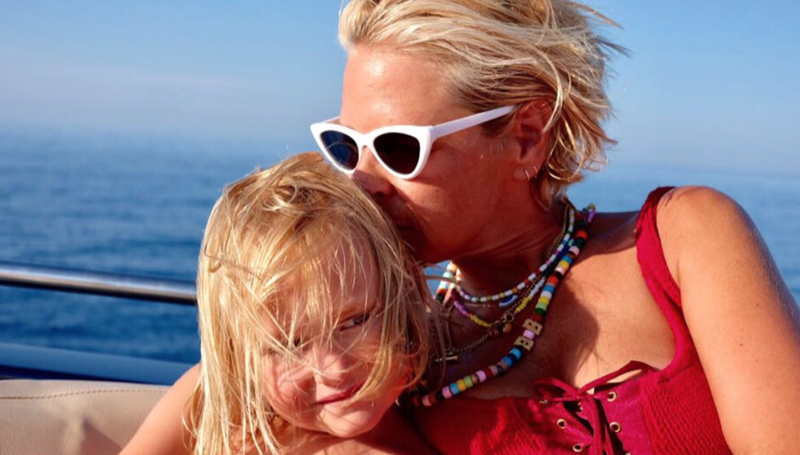 Here, Deborah shares her top five tips on Ibiza for children. Cala Vadella is one of my favourite beaches for so many reasons. It reminds me of my childhood summers growing up in Mallorca - it’s got that '70's retro feel. A proper family beach, it’s deep but not too long with fine sand and perfect for epic sand castle building. The water is shallow and clear in a small protected bay. There are three beach restaurants, all of which have sun loungers and umbrellas but there is also enough room for setting up your own camp. There are pedalos and paddle boards for hire and no blaring club music to be found (music to my ears). But best of all it has my favourite pizza restaurant Bon Sol. It’s nothing fancy; plastic chairs and wooden tables but it serves the best thin crust pizza, pasta and salads and has prime view of the beautiful sunsets. Destino is our local restaurant in the small town of San Josep on the south west of the Island. There's no menu, instead Claudio the owner takes you to the counter and shows you all the dishes on offer. Here you can find everything from homemade lentils with cumin, Thai chicken curry and lamb tagine to meatballs, lemon sole and spicy prawns. And there's a whole host of vegetarian options too. The vibe is low key and relaxed, set in a pedestrianised square off the main road it has a playground next door. So while you sip on a cool glass of rose, the kids can skip off to the swings. Carrer sa Talaia, 15, 07830 Sant Josep de sa Talaia, Illes Balears (+34 971 800 341). Apart from my husband's home made ice cream (he's a whizz at whipping up extraordinary flavours), Zero Gradi serves up the best ice cream on the island. Proper Italian gelato, their flavours are all home made and you can taste the difference. The town of Santa Gertrudis on the centre of the island is a wonderful place to go for dinner with the kids, there are so many restaurants to choose from. We skip dessert and head over to Zero Gradi, snag an ice cream and head to the playground opposite. The town square sometimes has a film showing, projected onto the church walls and there's my favourite leather shop Te Cuero filled with hand tooled belts and bags for a spot of shopping. Zero Gradi, Carrer Vénda de Parada, 12, 07814 Santa Gertrudis de Fruitera, Illes Balears. I have so many memories of my parents and I visiting Roman aqueducts and Greek amphitheatres. A touch of culture doesn't have to be boring. Visit the old town of Eivissa, Dalt Vila with its towering walls, cathedral and cobbled streets. You can climb to the top and walk along the ramparts of this 2,500 year old world Unesco site. There are canons to climb upon and views over towards the island of Formentera. This Phoenician and Roman fortress with its walled town has so much charm. We like to visit in the early evening when the temperatures are cooler and then choose one of the bustling restaurants along the main passage to eat al fresco. 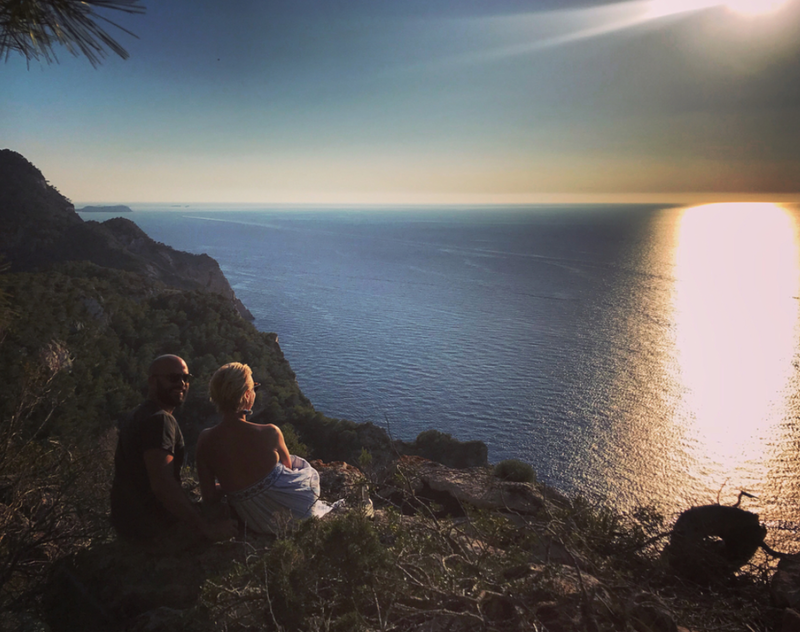 If a break from the beach is what your kids are after head to Acrobosc Adventure in the north west of the island near the beach of Cala Pada. Set in a pine forest, children and adults of all ages can climb and zoom through 20 zip lines. Or if water is more your thing head to the Surf Lounge near the bay of San Antoni in the west. Flowrider is an artificial static wave machine, that can accommodate up to 20 riders at a time. 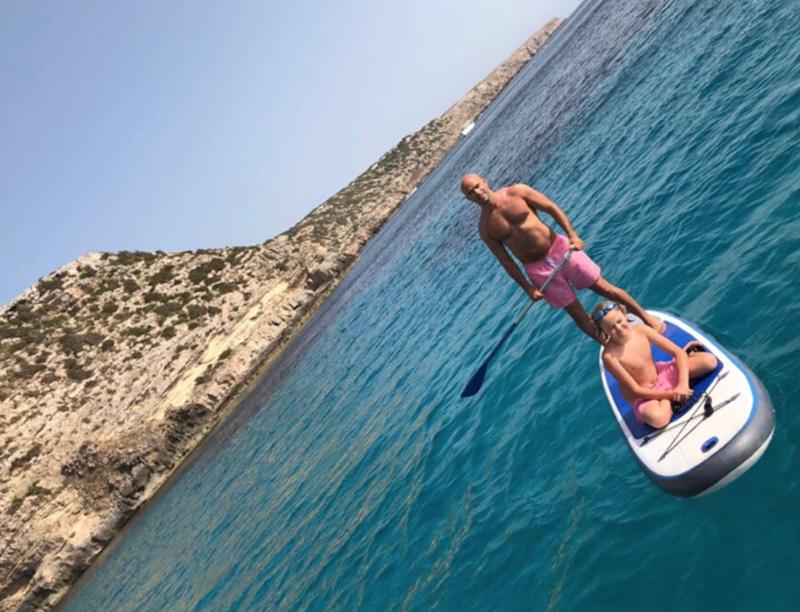 Totally unique to Ibiza, it offers the opportunity for surfers of all experience, including total beginners, to learn how to ride the waves. Great fun for all the family. Getting there: Fly from London with British Airways for £56 per person, return flight. See details here. Staying at: The chic and child-friendly ME Hotel, Ibiza. From £152 per night. 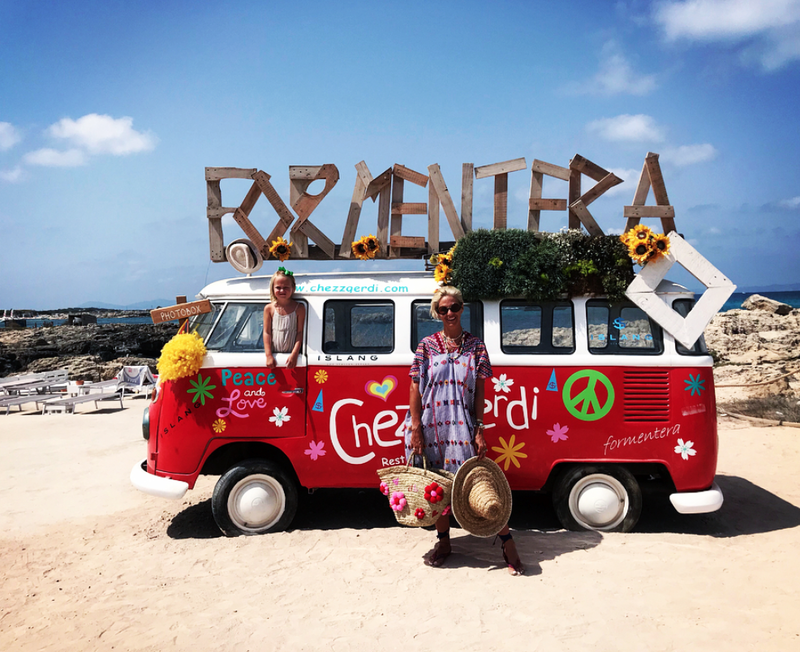 When to go: Ibiza is warm from May to October, starting and finishing the season in the low 20°s peaking at around 30° in July and August.